For to tempt and to be tempted are things very nearly allied... whenever feeling has anything to do in the matter, no sooner is it excited than we have already gone vastly farther than we are aware of. I praise loudly. I blame softly. I shall be an autocrat, that's my trade; and the good Lord will forgive me, that's his. The future Catherine the Great was born a German princess in one of the tiny German states, but turned out to be a powerful and enlightened ruler of the vast Russian Empire. In 1745 she was married to prince Carl Peter Ulrich, the heir to the Russian throne (the future Emperor Peter III). Being a bright personality with a strong sense of determination she joined the Russian Orthodox Church, learned the Russian language and by doing a lot of reading acquired a brilliant education. She was proud to be a friend and an active correspondent of the best thinkers of the time, such as the prominent French Enlightenment personalities Rousseau and Diderot. In June 1762 Catherine took an active part in a coup against her husband Emperor Peter III. He was overthrown and soon killed "in an accident", while Catherine became Russia's autocratic ruler. Throughout her long reign many reforms were undertaken and the territory of Russia was further extended by acquiring the lands of Southern Ukraine and the Crimea. The rights of the Russian nobility were extended, which won Catherine popularity among the Russian social elite. Catherine's love affairs with different officers and politicians were widely publicized, though much of what was published was not true. Nevertheless, most of her lovers were promoted to the highest ranks and some of them proved to be extremely talented people (for instance prince Potiomkin, a very prominent general and politician). Catherine the Great, being the outsider of the Romanov dynasty, wanted to establish strong links with earlier Russian history and the Romanov tzars. She commissioned an impressive monument to Peter the Great - the Bronze Horseman. Most experts agree that the St. Petersburg of Catherine the Great changed its appearance significantly and turned out to be one of the most impressive of European capitals. Catherine the Great died in 1796 at the age of 67, having lived longer than any other Romanov monarch. She was buried in the Peter and Paul Cathedral in St. Petersburg. Empress Catherine II "the Great"
She had been born Princess Sophia August Frederika on May 2, 1729 in the Baltic seaport town of Stettin, then a part of German Pomerania. Her father was an obscure German military princeling named Christian August, and her mother was Princess Joanna Elizabeth of Holstein-Gottorp. Her father was nominal ruler of the tiny principality of Anhalt-Zerbst, but the greater part of his life was spent as an officer in the service of Prussia. Little Sophia was nicknamed Feke or Figchen. Little is known about her early life, except that which Catherine related in her unfinished autobiography years later. Figchen's mother, Joanna, was the sister of Karl August, who had been engaged to Elizabeth I of Russia before she took the throne. Karl August died suddenly and unexpectantly in Petersburg in 1727. Elizabeth kept a fondness for him and his family long after his death. In the early 1740's Elizabeth was searching for a wife for her nephew and heir, Peter. Fidgen was the right age and a sentimental choice for the romantic Empress of Russia. Figchen and her mother were summoned by Elizabeth to Russia late in 1743. The potential match of the young German princess and the heir to the Russian throne was actively promoted by her mother and the Prussian King, Frederick, who saw the alliance as a way to further Prussian interests at the court of St. Petersburg. He eyed Figchen carefully at a banquet in her honor in Berlin before she left for Russia. He always claimed he saw greatness in her, even when Sophia was a child. Crossing the border into Russia she went from Riga to St. Petersburg and on to Moscow, finally meeting Elizabeth on February 9, 1744. Elizabeth was enchanted with her. Figchen immediately began to study Russian and Orthodoxy, with the end result of abandoning Lutheranism for the Russian Church, being re-christened Yekaterina - Catherine. Her husband-to-be was a great disappointment to everyone. He was sickly, mean spirited and ill-equipped mentally or physically to rule a vast empire like Russia. He was also unable to consummate his marriage to Catherine. Elizabeth didn't understand the fault was Peter's and pressured the couple to produce a son - thus securing the dynasty. When it was clear this wasn't going to happen, Elizabeth permitted an affair between Catherine and a handsome Russian officer, Serge Saltykov. Catherine conceived and bore a son, Paul, who was accepted by Peter as his own. Immediately after his birth, little Paul was carried off to Elizabeth's quarters and the Empress raised him as her own. Catherine and Peter hated one another. On the death of Elizabeth on December 25, 1761, Peter ascended the throne as Peter III. He quickly showed his mania for all things Prussian by forming an alliance with Prussia that was to Russia's detriment. Peter ordered the proud Imperial guard regiments to dispose of their uniforms from the days of Peter the Great in exchange for tight-fitting uniforms in the Prussian style. He followed this with the imposition of new, brutal military rules on the same Prussian model, which turned the armed forces against him. Hatred of Peter grew quickly among all classes and the country accepted with relief the coup-d'etat of Catherine, who deposed her husband on June 28, 1762. Catherine ascended the throne as the most pious and Orthodox Empress, Catherine II, crowned on September 22, 1762 with tremendous pomp and ceremony at the heart of Russian culture and Orthodoxy in the ancient Moscow Kremlin. Her husband, Peter had been murdered by her lover Orlov, his brother and some other henchmen some months before, and was soon forgotten. Catherine solidified her position by awarding her supporters with high government positions and grants of land, money and serfs. 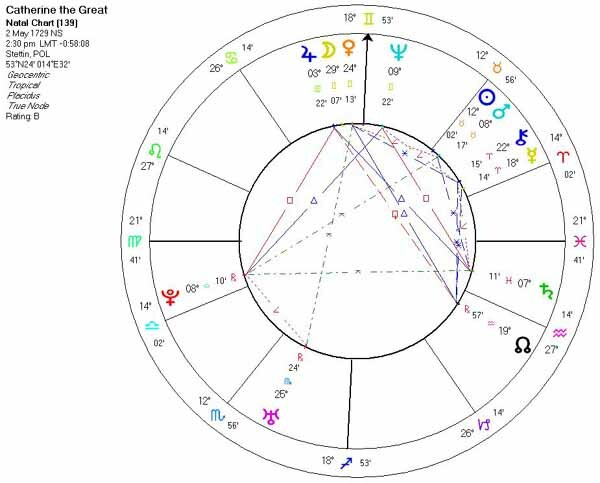 Catherine quickly began to make changes in government and society based on the convictions she had assimilated during her study of French philosophes of the Enlightenment and the authors of ancient Rome. She was deeply disappointed by the difficulty of imposing foreign precepts - even if they were rational ones - of government on Russia. It became easier and easier to abandon her principals. Catherine slipped deeper and deeper into autocracy - all the while maintaining the facade of an enlightened ruler. The ruin of the Orthodox church, which had begun under Peter the Great, was continued under Catherine, who seized its wealth and turned its prelates and priests into state employees. She built marvelous new monuments across Russia and transformed St. Petersburg into a truly European city of Imperial pretensions. The arts, music and education where patronized by her, and Catherine pumped millions of rubles into the creation of the Hermitage collection, which today is the delight of Russia and the world. No other Russian monarch appreciated beauty as much as Catherine, she set the stage for the emergence of a national Russian culture that would emerge as something unique and wonderful in the 19th century. Re-marriage was out of the question and she probably never took a husband again; although it has been rumored that she and a later lover, Potemkin, were secretly married in the Church of St. Samson in Petersburg. Much has been made of Catherine's libido. She has entered history with a mixed reputation due to the young men who entered her life in it's later years. Had she been a man, no one would have spoken of it, and many of the most famous tales about her are untrue. She dealt with the issue of her affairs head-on and justified it to herself as the need of an autocrat for companionship and diversion. Throughout her life she was estranged from her son, Paul, who grew up hating his mother for her condescending treatment of him and her role in the murder of his imagined father, Peter III, which he believed was more direct than history has proven. Paul never accepted the fact that his father was Serge Saltykov. The enmity between mother and son was mutual. Catherine felt Paul was foolish and unbalanced. Once on the throne he was sure to undo all of her accomplishments. He rashly boasted of this many times in Russia and on journeys abroad. Catherine planned to bypass Paul and leave her crown to his first son and her favorite grandson, Alexander. Feeling she had a number of years left, she did not make the arrangements for the transition to Alexander and upon her death from a heart attack on November 6, 1796 the throne passed to Paul. Catherine's achievements were many. She left Russia much stronger, more prosperous and beautiful than she had found it. That she failed in much she had set out to do had less to do with her and more to do with human nature. Catherine was unable to transform Russia through her will alone. Since she was unwilling to use terror or force to transform society, she chose a more patient path, hoping to gradually raise the level of culture by legislation, education, and example. She single-handedly grafted onto Russian rootstock the bud-wood of western culture, which was taken and remolded two generations later into something marvellous. 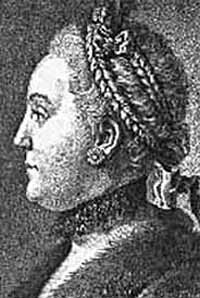 1729 Princess Sophie Fredericke Auguste (Sophia Augus Frederika) von Anhalt-Zebst, the future Catherine the Great, is born in Stettin, Germany (now Poland). 1743 Sophie is summoned by Elizabeth I of Russia. 1744 Sophie and her mother, Johanna, arrive in Moscow to meet Elizabeth on February 9. Sophie embraces the Orthodox religion and becomes Catherine Alexeyevna. 1745 Catherine marries Peter Feodorovich, the Grand Duke of Holstein, heir to the Russian throne, in St. Petersburg. 1747 Catherine's father, Christian Augustus of Anhalt-Zerbst, dies. 1752 Catherine takes a lover, Serge Saltykov, a Russian officer. 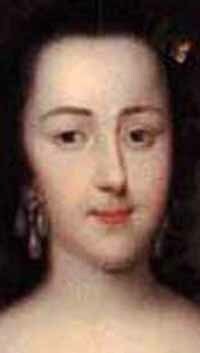 1754 Catherine gives birth to Paul, future Emperor of Russian. Many believe the father to be, not Peter, the Grand Duke, but Saltykov. 1760 Catherine takes a new lover, Gregory Orlov. Death of Johanna of Anhalt-Zerbst, Catherine's mother. 1761 Empress Elizabeth dies on December 25 and Catherine’s husband, Peter, is crowned emperor. 1762 To the chagrin of the Russian nobility, Peter III signs a treaty with Frederick of Prussia on April 24. Catherine, supported by the Imperial Guard, overthrows Peter and becomes Catherine II. Peter III dies while held prisoner by the Orlovs. Catherine denies complicity. 1763 Catherine confirms the privileges of the nobility. Begins to collect art from all over Europe and exhibits it at the newly built Hermitage. Russia invades Lithuania. 1764 Count Betskoy is commissioned to draw up plans for the education of both boys and girls. This begins Catherine's drive for European-style education. Schools and universities were founded throughout her reign including the Smolny Institute for Girls in St. Petersberg. 1766 Catherine writes her Nakaz(Instructions). Catherine reforms St. Petersburg’s local administration by creating the position of gorodskoi golova (mayor). Treaty of Friendship with England. 1767 Influenced by the French Enlightenment, Catherine forms a commission for legal reform. 1768 Russia declares war on Turkey. 1771 Russia conquers the Crimea. 1772 Signatures of conventions with Prussia and Austria with the objective of partitioning Poland. Armistice with Turkey. 1773 Catherine persuades French writer Denis Diderot to come to the Russian Court. Cossack Yemelyan Pugachov leads a peasant revolt in the Volga River Basin. Orlov falls from favor. 1774 Potemkin becomes Catherine's lover. Catherine oversees the creation of a Magistrat (municipal council) which becomes the city Duma in 1786. War with Turkey ends with Treaty of Kuchuk Kainardji. 1775 Trial and death of Pugachev. Catherine reforms the provincial and urban administrations. 1777 Alliance with Prussia. Problems in the Crimea. 1778 Catherine acquires Voltaire’s entire library after his death. 1781 Alliance between Russia and Austria. 1787 Catherine tours Crimea. Turkey declares war on Russia. 1788 Catherine imposes a protectorate on Poland. War with Sweden. 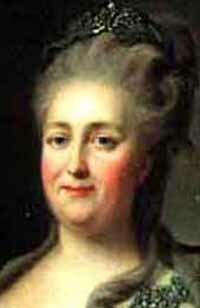 1789 Catherine, fearful that the revolution in France might spread, begins to undo many of her liberal reforms. 1791 Death of Potemkin. Treaty of Jassy is signed between Turkey and Russia. 1793 Second partition of Poland. 1794 Insurrection in Poland. Third partition of Poland.